It's more difficult than I imagined, to photograph this handspun skein of Hilltopcloud deliciousness without it looking like a dog poo. 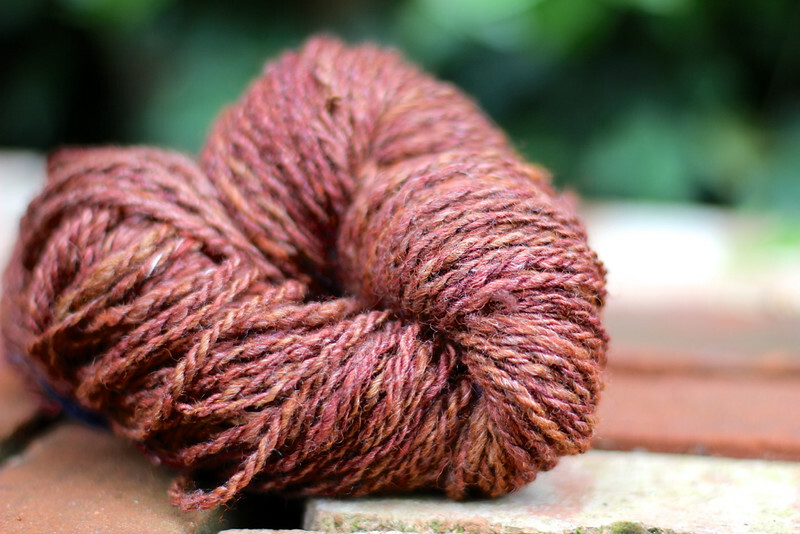 I am in love with this colour and with 144m of (roughly) a DK weight, I might make something with it to fling around my neck. The first issue of imake Magazine came out today! It's the brainchild of my friend Martine. I'm just about to put the kettle on so I can enjoy reading my copy with a hot cup of tea. I know ... it's not as if I didn't already have enough to do. Not to mention all those very sensible arguments I've heard like: "you'll stop knitting", "you won't use any of the yarn you spin", you'll spin for five minutes and then forget about it". 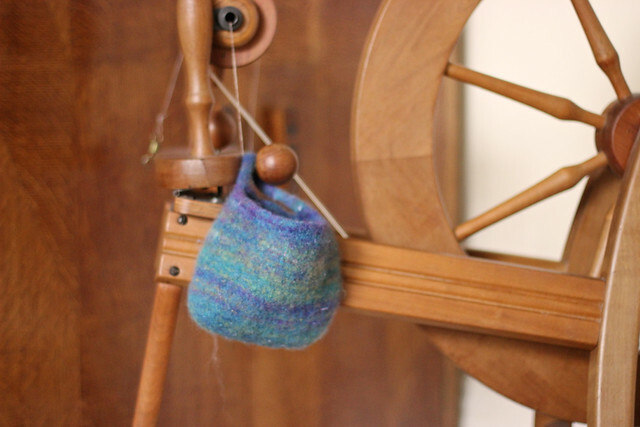 They might all turn out to be true but, I've been wanting to learn to spin for YEARS, so I've thrown caution to the wind and just gone and done it! 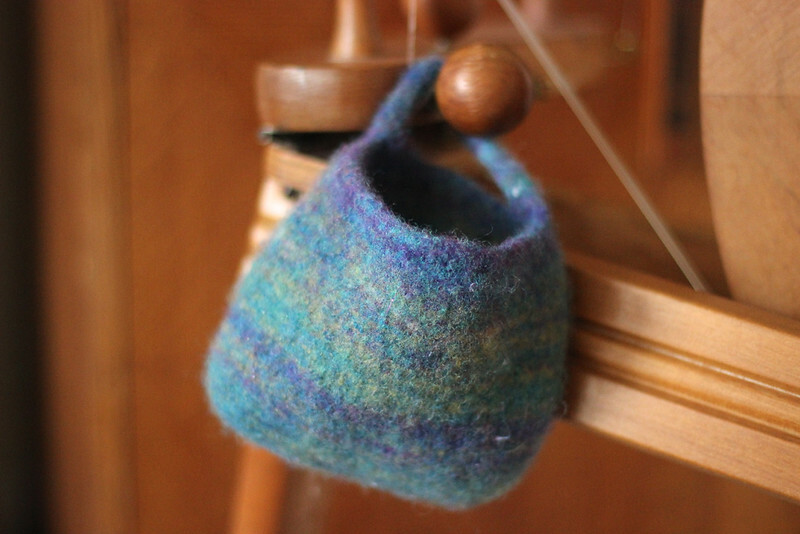 Growing up, I knew women who spun. Well, my mum knew them. It all seemed very mysterious and magical. And of course there was Sleeping Beauty and Rumpelstiltskin and more spinning. I deluded myself that a drop spindle would satisfy me. But, it was just a matter of time. In my excitement, I've taken rather a lot of pictures of my new wheel. Sorry about that. I know my Dad will enjoy them. Mr Myrtle and one of my brothers had a good poke around and ooh'ed and aah'ed over it over the weekend ... I'm sure my Dad would too if he were closer. Funnily enough, this wheel was originally from New Zealand. 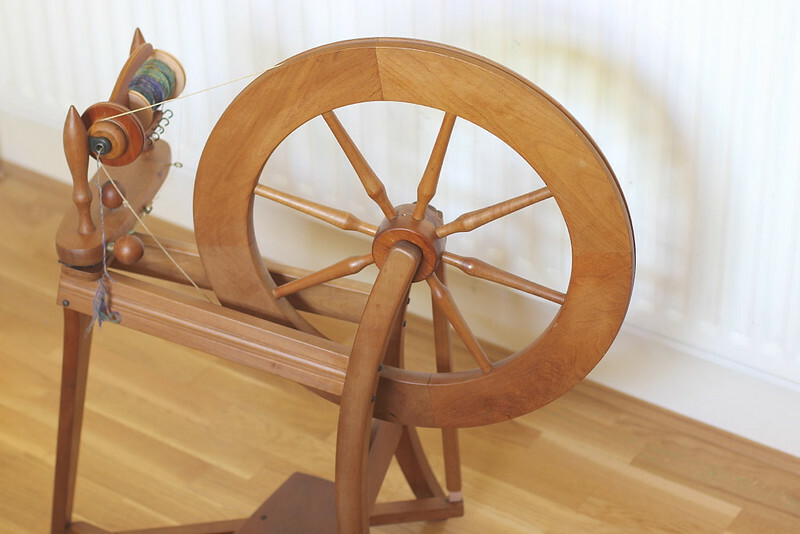 It's an Ashford Traditional single treadle wheel, a classic spinning wheel perfect for a beginner like me. The brown and cream tweedy yarn is a combination of a brown something (not sure what), with some very lush cream merino. 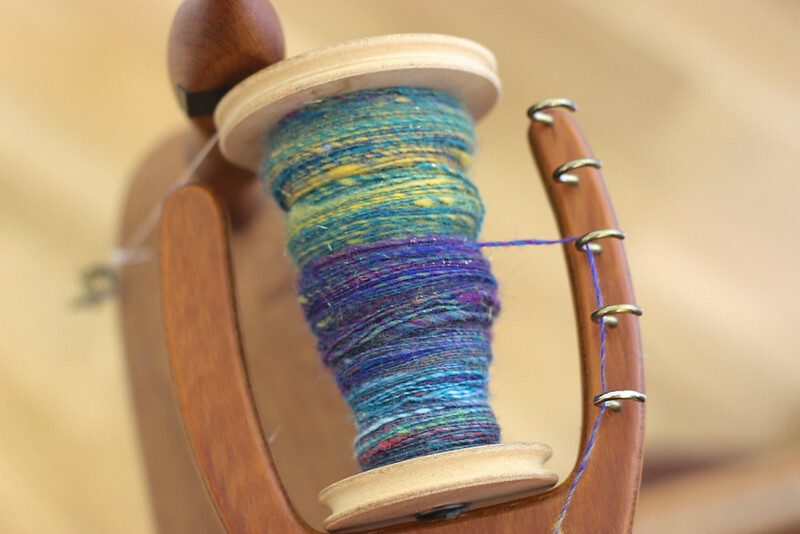 Gosh, the merino was fabulous to spin! It glides through the fingers and is so sleek, I can't wait to do more. I seem to have managed a heavy double knit weight, but not a great deal of it. Maybe enough for a headband or a wee purse? Next up was the riot of colour. We worked out that I have about 172m of this circus frenzy and it's a worsted or maybe a bit thicker. Definitely enough for a hat, cowl or scarf I think. It's a great big muddle of scrap yarn that I had donated to the kids for their spindles ... fortunately they were quite impressed to see it turn into yarn so quickly and didn't mind that I'd nicked it back. Aside from a slither of red merino, none of it is "fancy yarn". It was fuzzy with a short staple, probably not the easiest to start out with. Still, I figured practicing on that would set me up for anything. 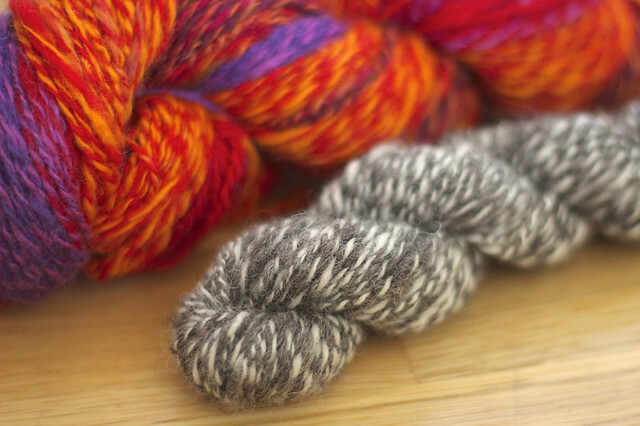 Both skeins are pretty thick and thin and fairly loosely spun and plied. I can see how practice will definitely make perfect when it comes to spinning. I've been playing with both the mechanism for the brake and the ratios ("gears") to see what effect they have on the fibre as it spins and slowly but surely, I can see a little improvement in what I'm managing to achieve. 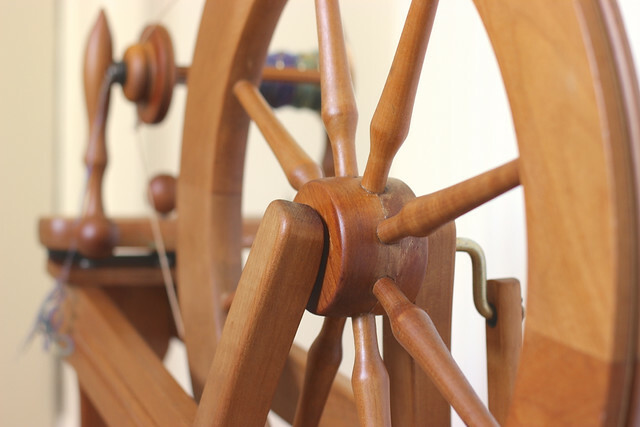 I'm sort of getting a feel for it now and happily, the yarn currently on my wheel is looking better. The fibre is a fairly colourful array that my kids carded at Fibre East last year. They seem to have included everything from cotton, to silk, to sparkles into this mixture, so it'll be interesting to see how it looks when it's all finished. 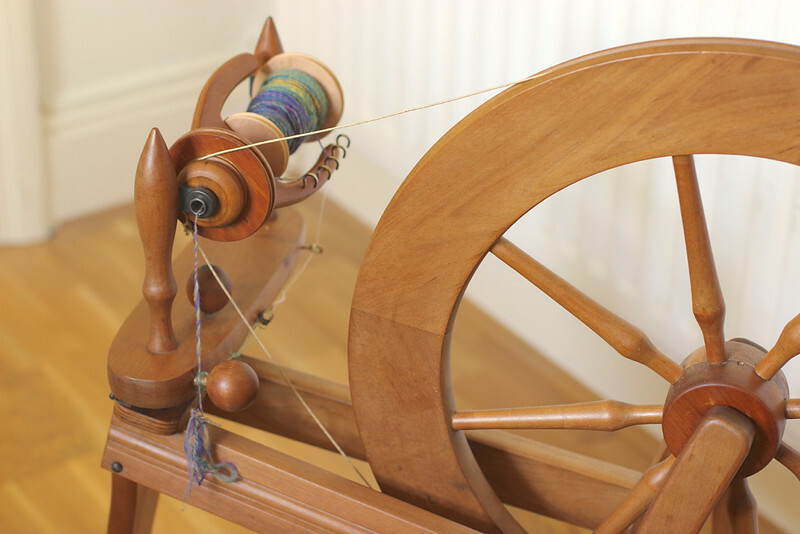 As if by magic, I'm managing to spin much finer and more evenly. 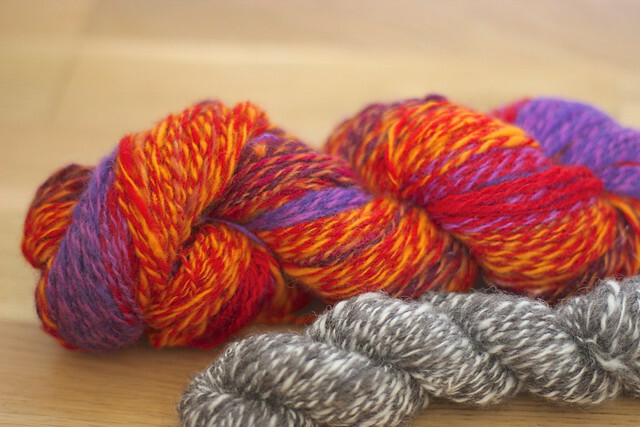 I've split the fibre in half and will ply the two lots together. I'm hoping it might make a pretty shawl or wrap if I've got enough. Cool huh?! I am totally addicted after only a couple of days. 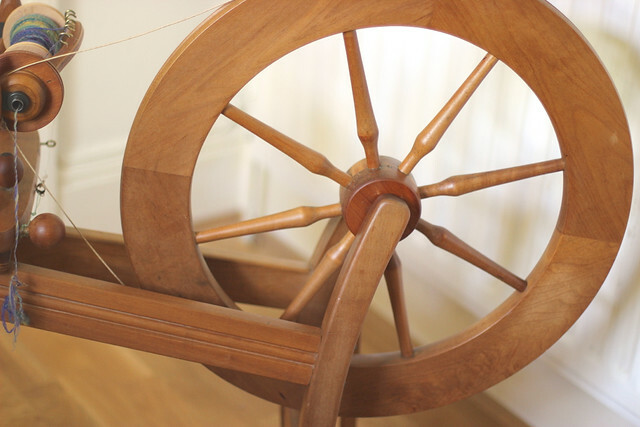 It's both meditative and hugely fun - provided nobody grabs or pokes a stick in the wheel while it's spinning. 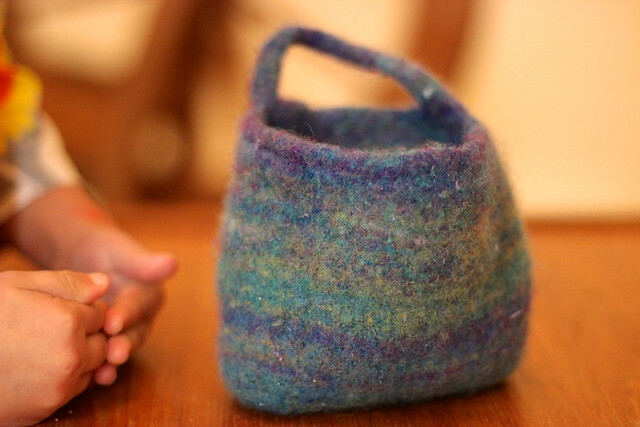 I've got a plan to spin all the fibre in my house before Fibre East in two weeks time, then treat myself to a very lovely bag of luscious fibre. 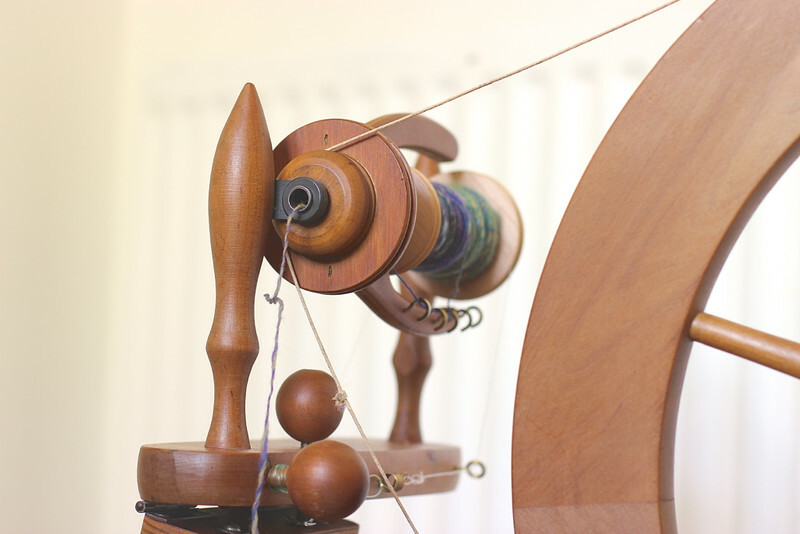 I'd love to hear what fibres you love to spin, and some suggestions about what to try next!